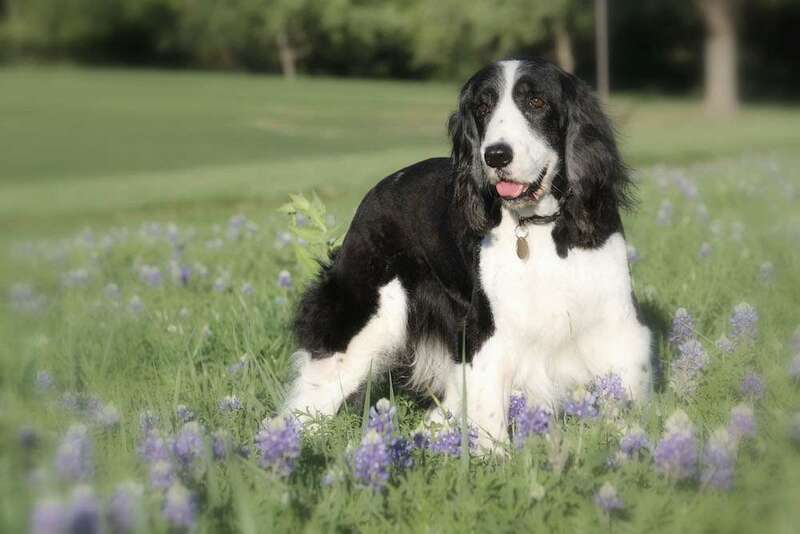 One of the passions that led Jan Flagg to establish ESRA in 1998 was the plight of Senior Springers left to fend for themselves — or suffer a worse fate — in their golden years. Through the years since Jan’s passing, we have honored her legacy by always standing by ESRA’s commitment to hold our seniors in the highest regard, raising funds to finance their every need and working diligently to find them loving new homes for whatever time “forever” means to their futures. Over the past several years, we have seen an increase in the number of elderly dogs rescued by ESRA not just because of economic constraints or lifestyle changes placed on their owners, but often due to the advancing age of the owners themselves who find that they can no longer physically care for their beloved pets. Care for these dogs is provided through our Jan Flagg Memorial Fund which has been supported since its inception in 2002 by the generosity of many individual contributors, along with some group efforts such as Charlotte’s Fund, a new fund initiated in 2015 and named after a particularly inspiring senior Springer. 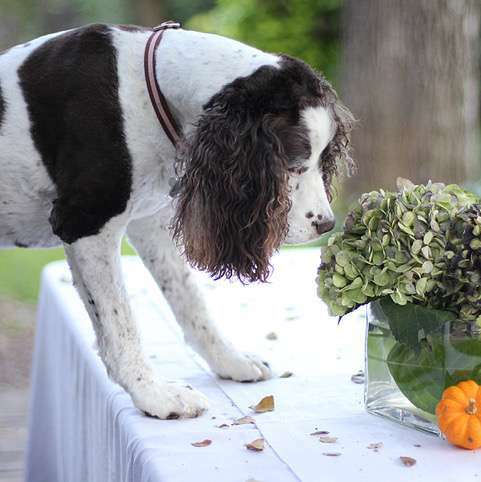 What's one more sweet Springer soul around the house? 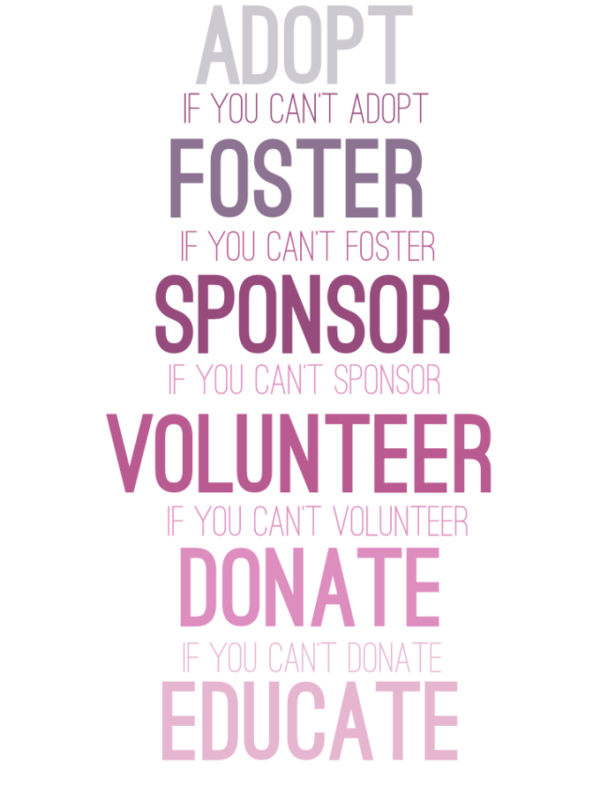 Consider fostering or adopting. 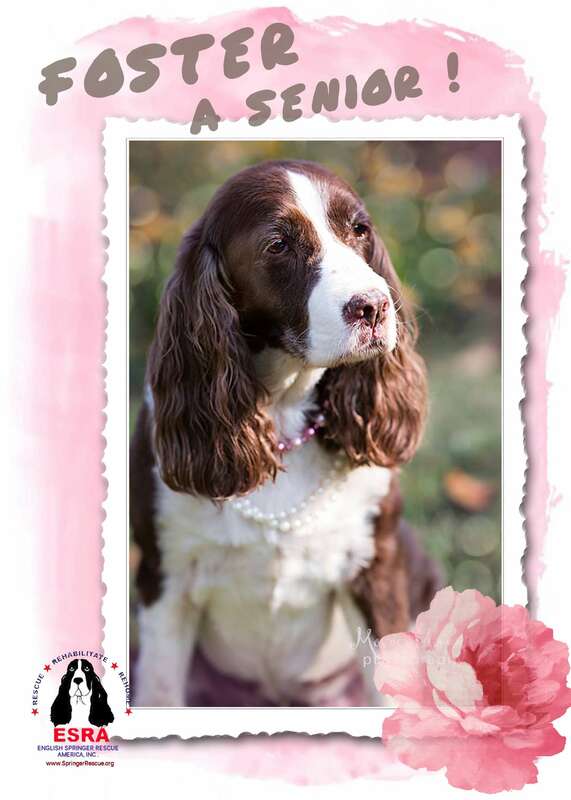 English Springer Rescue America, Inc. is proud to offer Springers for Seniors. This unique, award-winning program seeks to place senior dogs in the homes of senior citizens (sixty years plus). Many medical professionals strongly suggest that senior citizens live longer and remain healthier when they have a pet to care for. ESRA believes that older dogs also live longer in the care of Senior Citizens whose lifestyles can accommodate the mellower dog. These senior dogs have had health exams, are fully vaccinated, are spayed or neutered, and are heartworm negative. When they are placed with an active senior who can love and care for them, the adoption fee is waived. Most people go to a shelter or rescue organization wanting to adopt a puppy or a young dog. By adopting an older dog, you can make a statement about human compassion and the value of life at all ages. Older dogs are often the last to be adopted or the first to be euthanized at the shelter. Why should an older dog be left behind? Dogs live in the present, as today is what's important to them. They don't tend to worry about what's around the next bend in the road. They just want to be happy and loved today! We all know there are no guarantees in life. The quality of time you have with your new companion can matter a great deal more than its quantity. Even if you have a senior dog for only a few years, the days you spend together will be precious! You can give an older dog the best years of his/her life! 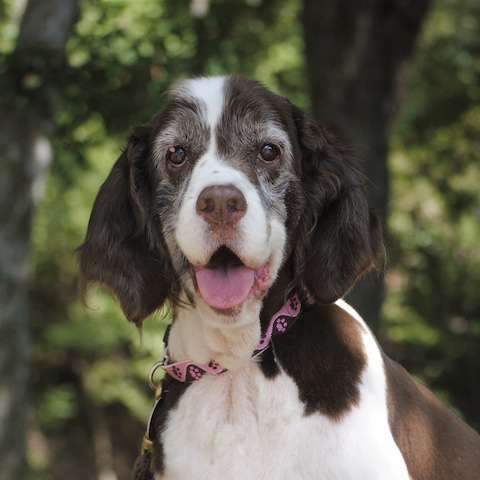 Won't you please consider providing a loving home to a senior?